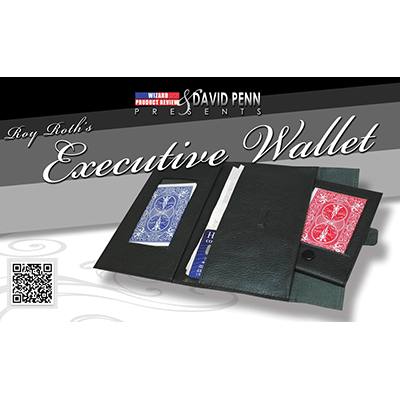 David Penn presents Roy Roth's Executive Wallet. With the Executive Wallet you can load the spectator's signed card into a wallet within a wallet without palming. The spectator can then remove their own signed card from the smaller wallet which is even secured with a press stud. As the spectator opens the wallet themselves this provides sure fire misdirection for your killer finale. The workings are all explained along with David's full routine on the accompanying DVD. Crafted from the highest quality leather. The card is loaded into the innermost wallet with no palming in one natural action. No envelopes or messy sticky stuff to replace. David Penn's routine from his number one set is fully described on the DVD.